This time we have a short newsflash around the May-holidays. This week the decodersets and the telescopic inspection mirror are back on stock. We also have a few new geocoins. This time 3 editions of Avroair's Cosmic Compass Geocoin and a few Pathtagholders. 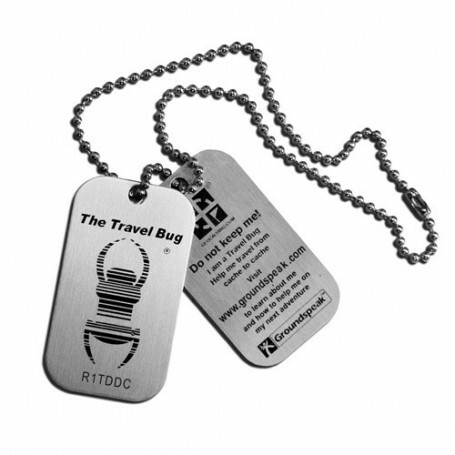 These are special geocoins (with a trackingnumber at Geocaching.com) with a removable pathtag. This pathtag has its own pathtagnumber which can be logged at pathtag.com. Available in red, yellow and purple. Another Pathtag carrier coin by Chris Mackey. This one features super intricate Mackey work on the front, and on the back is a removable Lucky rabbit Pathtag with its own unique pathtagcode. Sure to be another must have in your Club collection. Size: 44mm in diameter and 4mm thick! The successor to the Pathtag Sherpa has arrived! This great design by Mr. Chris Mackey is designed to draw the finder's eye to the prize feature of the coin - your Pathtag! The artwork is based on the Pathtags.com logo, and is an enlarged representation of it. It follows the font and swirl pattern of the well know logo. In the center is a removable pathtag (of course with its own code) to keep for your own collection. From the country flag micro coins, we now also have the Portugese flag.